The CLA and the Royal Isle of Wight Agricultural Society have announced the return of their prestigious awards celebrating rural work and life on the Island – and nominations are now open. The awards will this year honour those who go the extra mile to support the rural economy, from food and drink producers to tourism businesses. Nominations open today (Friday), with the winners to be crowned at the Royal Isle of Wight County Show on 30 June in the Show Theatre at 2.45pm. To enter, businesses, individuals and organisations can nominate themselves, or be nominated by others. The awards recognise those individuals and businesses who represent the very best of rural achievement on the Isle of Wight. 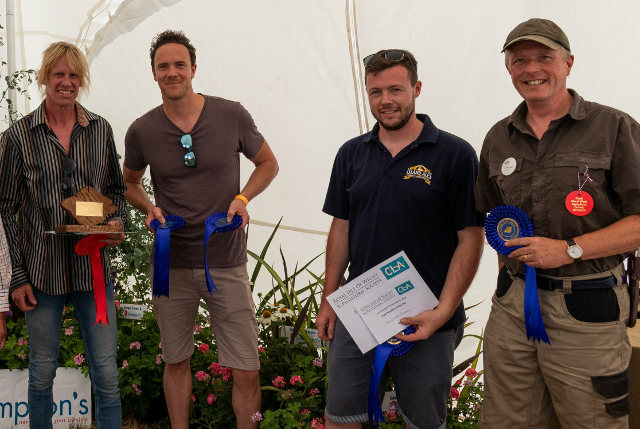 The panel of judges, made up of representatives from the CLA, the Royal Isle of Wight Agricultural Society and an independent chairperson, will assess, meet and interview the shortlisted finalists ahead of the show. CLA South East represents landowners, farmers and rural businesses across the Isle of Wight and is also sponsoring the Village Green at the show once again. “We at the CLA are proud to be a part of the rural community on the Island. “We are keen to give back to this community and recognise some of the key players who make this Island as beautiful as it is. “Part of RIWAS’ charitable role is to raise awareness of rural issues on the Isle of Wight, and we also want to celebrate our successes. Last year the Rural Business of the Year award went to Briddlesford Farm, while George Biss was crowned Rural Young Person of the Year. Cowes Primary School triumphed in the Isle of Wight Primary School of the Year category, while the award for Wight Marque Food Business of the Year went to The Tomato Stall. The Sustainable Business Champion category was won by Island Riding Centre, while Tom Phillips was named Isle of Wight Farm Worker of the Year. To nominate please download the application form on the RIWAS website and submit it before the final deadline of 26th April – visit the Website.